Send messages to any lovebox at any time from anywhere in the world, with our Lovebox Mobile app! 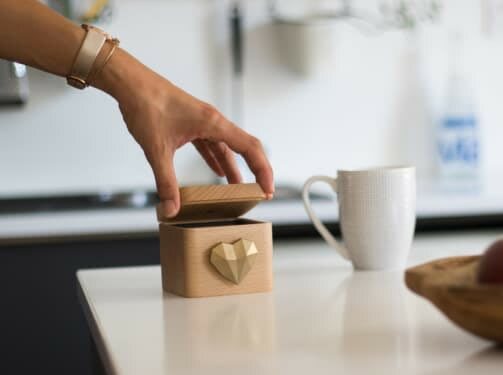 The lovebox heart begins to spin to notify a new message to your loved once. Lift the lid of the lovebox, to read received messages on the Lovebox screen. The Lovebox is built from French beech wood, harvested with love. Enjoy its precious way to let people know you love them. 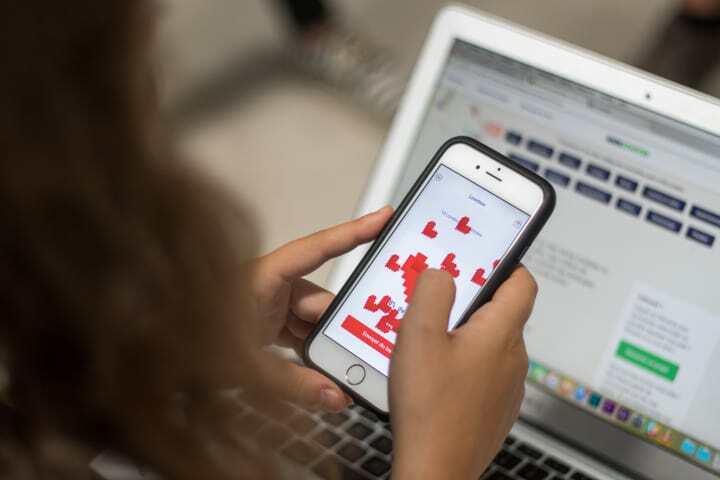 Respond to the message by manually spinning the heart to send your loved ones a waterfall of hearts on their Lovebox app. More than 20,000 units sold! in the United States and in Europe! We recently added a new feature to the Lovebox. You can now send your own drawings on your loved one's Lovebox. This one was really well welcomed by both children and adults. Some of our users keep the Lovebox very intimate with only one person who can send messages. 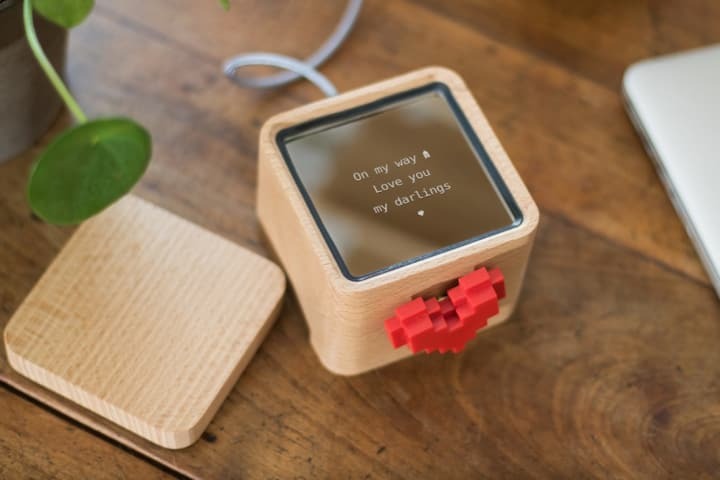 For many others, the Lovebox is their positive message inbox where close family and friends send their love notes. You decide! We deliver in 72 hours the United States and in Europe. 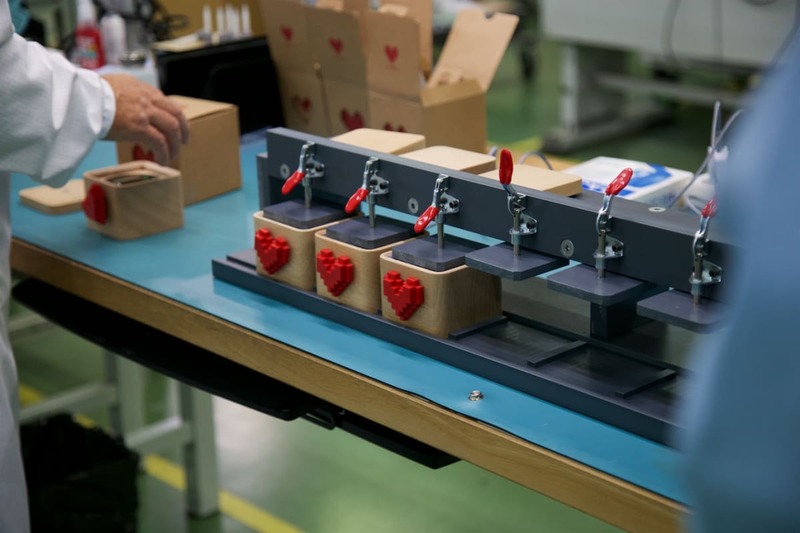 We are so proud to have shipped thousands of Loveboxes since we launched. We ship the day after you order with Fedex International Priority, guaranteeing 72-hours delivery.